PAPERBACK NOW AVAILABLE VIA AMAZON!!! As a child, Mary Uwanna believed in the power of faith and love, and loved to tell stories of Princes. Everything changes when she loses her parents in one night, and is left to care for her three brothers. In a climate of corruption and immorality, even the Church was not a safe refuge for sixteen year old, Mary. She makes a decision that threatens to steal her destiny, until she meets her Prince. Ifeanyi Chukwueke is not the Prince Mary had envisioned. He is a bad boy, with a reputation for breaking hearts. But his heart is set on Mary. Faced with her haunting past, he makes a decision to love her regardless… Until his own past comes to threaten their happily ever after – time and again! 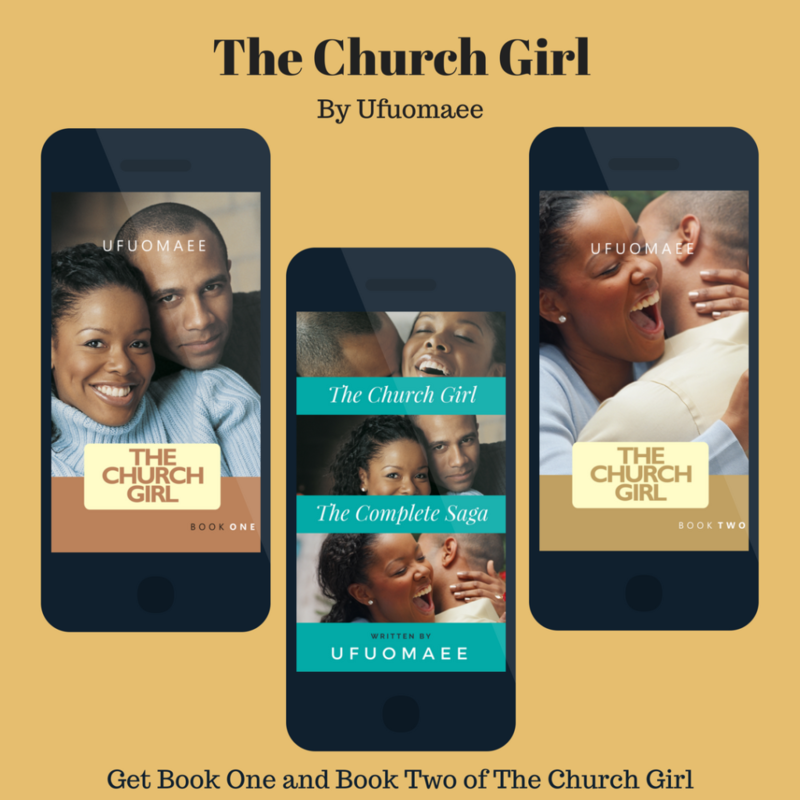 The Church Girl is a story about a love that was destined, but tried in every way. 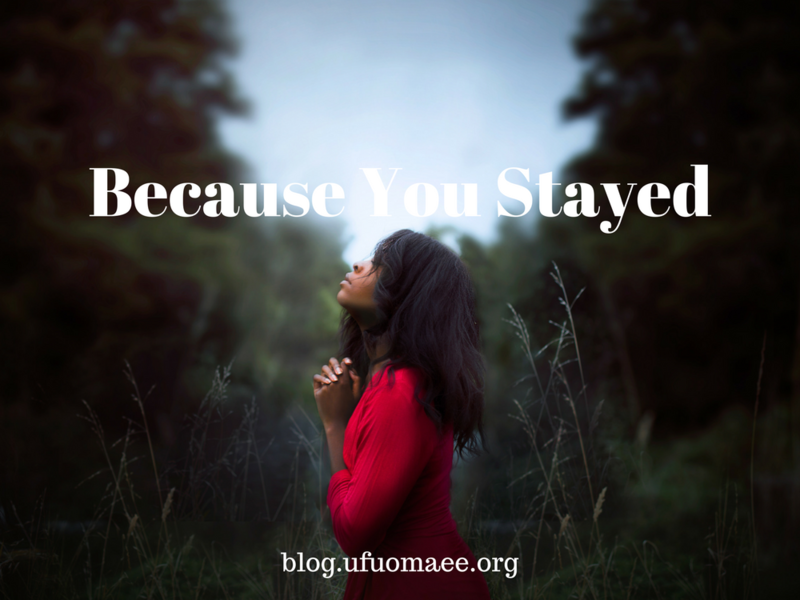 Mary and Ifeanyi must learn that in order to live, they must first die to self, as their love and faith is tested through many trials and temptations. Follow this roller-coaster ride about a love that overcomes all, that will grow your faith, or lead you to the One who holds the keys of Life. 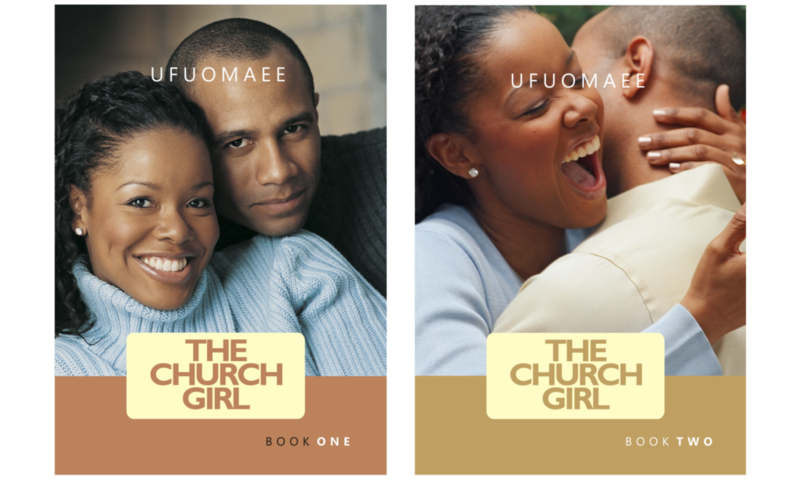 PLEASE NOTE: Book One and Book Two of The Church Girl are sold TWO IN ONE. For autographed copies, order direct from me: HERE. International Orders can now be processed, but shipping costs will be processed separately via PAYSTACK. Simply select "local pick up" when you place your order, and upon confirmation of payment, you will be able to pay for shipment and have your orders delivered to you. Please allow two weeks for delivery. Delivery time within Nigeria is approximately 72 hours. Get 10% off when you subscribe for the newsletter! Other notable retailers include BARNES AND NOBLE, KOBOBOOKS and APPLE iBooks. You can preview 10% of the book on Smashwords and on Kindle, before you decide to buy. Book One and Book Two are available to be purchased separately only via Okadabooks. Get BOOK ONE here and BOOK TWO here. If you have downloaded (or purchased the hardback), read and enjoyed the book, please kindly leave your review by commenting below, or at your favourite ebook retailer. Thanks so much! The book was reviewed on Instagram by @AyoThompson, TV and Radio Presenter with Wazobia. This book was reviewed on Instagram by @UdyNtia, Pastor at This Present House Church. Reading these books will definitely bless you but more importantly, the whole book will make you reevaluate your life, your being, your purpose and your value. Thinking about everything Mary went through and still her witness for God transformed a whole new person and literally everyone who came in contact with her. Sure we cannot all be Mary but this made me think about my inner ‘Mary’ and if i even let her out to play. The verses, the lessons, the words, the dialogue…..everything was so carefully thought out and flowed so beautifully that reading the book was such a joy….even for me and i have read the physical one twice, the ebook, the blog version, etc. – keep thinking I’m going to miss something and i would hate to….???? @ufuomaee You did a great job on this and i know it’s His Spirit working in and through you….i wish i had all the means to get this in audio and film so we can reach a million more people than it already has, but just know you have my support forever….in kind and when i can…in cold hard currency as well. Can’t wait for all the other things you are birthing.???????????? Thanks Ejay for this super awesome review! I appreciate the support and encouragement you’ve me on this journey xoxo God bless you! This book is amazing. I love the fact that it was so real and it touched every part of the human experience. i finished part 1 in one day, and passed it on to my mum. Now i am done with part 2 and i am thinking oh oh where is part 3. It is important never to judge people and also not to hold people at a very high pedestal because man can fall. I have a better understanding of life and God and its amazing how the book is helping me re-define love. I also have a better understanding of waiting on God for the right time. I mean Ifeayin proposed three times.. lol. I guess three times a charm. I posted some excerpts of the book 2 on Instagram and i have people asking for info on where to get the back. I thoroughly enjoyed the read. You are a great writer and you should write more books. I pray that God give you the grace. God bless you soooo much! This just made my day! I am so pleased to read your feedback. Thank you. Please, follow me on Instagram @Ufuomaee or reply back with your handle if you want me to follow you. I’m so honoured, thanks! Really I was still enjoying the book 2 late into midnight, until I got the word the end oh how I wished it could continue. We are waiting for book 3. I will also suggest this can be converted into a movie as God directs. It is really a blessing even to generations yet unborn. The Church Girl has an irresistible spirit in it that once you pick up the book you just have to read it to the very end, enjoying the twist and turns, hoping some things never happened then you realise some are dreams and you breathe a sigh of relief. Thank God for the grace and anointing upon your life to put up a great piece inspired from God. Keep basking in God’s grace. Thank you so much for this encouragement! God bless you! I won this free book from @ufuomaee ,it was an answer from God to my current situation. The characters in this Christian Romance depicts the theme of Strength, temptations, weakness,hurt,forgiveness submission, grace, salvation and learning to wait and from God for the next step even when u seem so sure but you have to follow God’s timing. The love Ifeanyi and Mary shared was tested through fire and water and they came out stronger. I learnt that it takes moreThe love Ifeanyi and Mary shared was tested through fire and water and they came out stronger. I learnt that it takes more than love for a marriage to work,it takes determination to submit to God and make him the center of the marriage to make it work. The book opened my eyes to sexual abuse from places we never expected when Victims are vulnerable and are scared to speak due to fear and stigmatisation, the author through biblical principles and divine inspiration dealt with these issues and proVictims are vulnerable and are scared to speak due to fear and stigmatisation, the author through biblical principles and divine inspiration dealt with these issues and proffered ways to get help through her main characters. #ThechurchGirl is a must read for everyone to learn about choosing right, how to heal from hurt patience, forgiveness and salvation.When God gives us a word, he goes all out to fulfill it because His integrity is at stake, not even a dot of his promises would go unfulfilled -that’s if we let Him do it. God’s love for us is intentional and cannot be shaken because the price has been paid in full. Well done @ufuomaee and God bless you. I pray for as many souls in despair that they would be able to receive help in time of need and come in to the understanding and enjoy the intensity of God’s love . To my fellow singles in the house, hold on and hold out, trust and love God till love finds you. Shalom! The book was reviewed on Instagram by @Oliveemodi, Actress and TV Presenter with Wazobia. Highly recommended get your copy! So i bought Part 1 and 2 of the book ‘the church girl’ to support a friend (wasn’t sure i’d have enough time to read them) but i was done with both books in 3 days, even with my busy schedule. I normally don’t read Nigerian authors but i was blown away by these books. The characters are grounded, dialogue doesn’t seem forced, the plot…like a roller coaster ride with lots of unexpected twists and turns. Don’t be fooled by the name, its not overly religious or ‘churchy’ and is not afraid to tackle topics or explore areas that some churches tip toe around. Overall its been a while i read something that has affected on me on an emotionally level( these days i have been doing a lot of Stephen king and James Patterson)and normally won’t read anything that doesn’t come close. Its simplicity draws you in and the author takes you on a journey that makes you re-evaluate your life values and choices. I didn’t expect to be knocked off my feet when i read ‘the church girl’ and yes i wasn’t. I was blown away. The Church Girl. I recommend this book for everyone to read both single and married. When I got the book even with my busy schedule I still read it and I was done within two days even my mum was like this book has captivated your interest yup it has and I can still read over and over again so I highly recommend it for everyone to have and not only. have read the book. Don’t lemme talk much get it and discover it. Thank you @ufuomaee for birthing this book. Thank so much Kate! I’m glad you loved it and find it a resource you can read again and again! I thought it was only me, lol! Who reads 2 books in 1 in this busy Lagos????? The two books were worth the while. Book 1 was full of drama, suspenseeeeeeeeeee in fact it was like a telenovela. I really enjoyed the drama but I think enjoyed Book 2 more. There was so much to learn from the Books. If you do not have anything to do this Christmas Season then you must buy not BORROW these books. If you are interested in LOVE, you will LOVE this book. Read with a cup of ice cream, sharwarma, a plate of hot rice or just make sure you read the book while eating or drinking something (the book is sweeter when grubbing). Easy to read, Easy to read, Easy to read book. As a first timer, you did a great job. I will give it 8 over 10. Is there a Book 3?????? Thanks my dear!!! Where did I lose the two points you refused to dash me, lol?! A truly amazing story. It shows the power of God to reform, affect lives, turn bad situations around and protect us in times of need. I was expecting the typical Christian novel with the stereotypical title. What I got was an amazingly “real” and relatable story of trials, life issues, strained relationships, mistakes made because we just choose to do things our way and in our own strength and most importantly God’s love in various forms that NEVER fails. I loved reading every chapter. It took me less than 2 weeks and that’s with a boat load of busyness I claim to always do. Thank you for these amazing books that helped me stop and reflect on the biblical truths that just make life easier. Ifeanyi’s story, for me, was truly inspirational. I thought he would fall so many times and when he eventually did, it affirmed the fact that, we all mess up but God is faithful forgive and restore our brokenness. Thanks Ufuomaee. More please!!!! Thanks so much Ogo! God bless your kind heart. Thanks for getting the extra copies for your friends too. Your support is amazing! I read Book One and Two within two days. It’s been awhile I read a novel and couldn’t drop it till I was done. As a writer, I have been torn between what to write and what not to write. I want to express my emotions but also help/impact others with my writing. Reading this novel settled it for me, I don’t know why but I just got conviction in my heart on the path to go, for this I am grateful. Secondly, I have been going through a phase of praying and not getting answers and getting very frustrated, however while reading, the characters spoke to me, I learnt to trust God and rely on Him, I learnt that God’s plan is too sure it must come to pass. I learnt that instead of focusing on the prayers that I felt God wasn’t answering, I should settle it in my heart that’s God’s plan is perfect, and I should focus on what He is saying even if it’s what I feel I don’t want to hear. I learnt about fleeing temptation, I learnt about grace, I learnt about the power of forgiveness, I learnt about sexual purity, I learnt that I should share Jesus and my faith more. I could go on and on. I just want to say Thank you ma for writing, thank you for yielding, thank you for not giving up, thank you!!! The story’s originality and real life application was phenomenal. The churchgirl is quite relatable, an entertaining and inspiring page turner. I fibd Ufomaee a very talented writer who brings imaginations to life, awesome work Ufomaee. Thanks Dami! I really appreciate your review ???????? So I read this book with the blog last year and I bought the hard copy of recent aswell. I must say it was absolutely captivating, It was quite different. At first I thought it was predictable and quite basic, but it went further and explored different issues within the society that we know about but don’t discuss. I liked that Mary’s character had different facets and she was relatable. She was human!! I loved Ifeanyi’s character development aswell. The story was worth my time and emotions lol. I find myself praying some of the Mary prayers because even though it’s fiction, I believe that God’s word is His word and He’s able! I finally read The Church Girl after 4 months of purchase. I told Ufuoma I save good books till I know I’m able to really read and enjoy them. I must commend the author for putting together this masterpiece. This was absolutely an amazing read which is not just entertaining but very enlightening. In fact, the book is a blessing. I learnt so many lessons from the life of Mary, her convictions, her strength, compassion, commitment to God and her marriage, her wisdom. She showed a total yielding and wisdom to the Spirit especially when she was about to be raped and this was her saving grace as she was spared. I experienced a lot of emotions like sadness to the point of tears at Mary’s ordeal in the hands of Pastor Bolaji, who would have ruined her life and destiny if not for God’s grace and mercy. Very saddening that a supposed man of God who should have helped Mary turned out to be a predator. 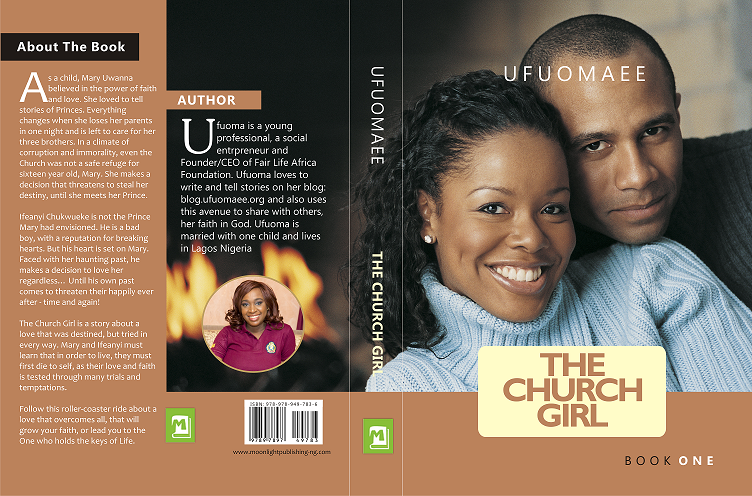 Ufuoma showed readers that being in the will of God might be bumpy sometimes as evidenced by Mary and Ifeanyi’s love story. The hindrances they experienced were so many that I thought they would never get married. 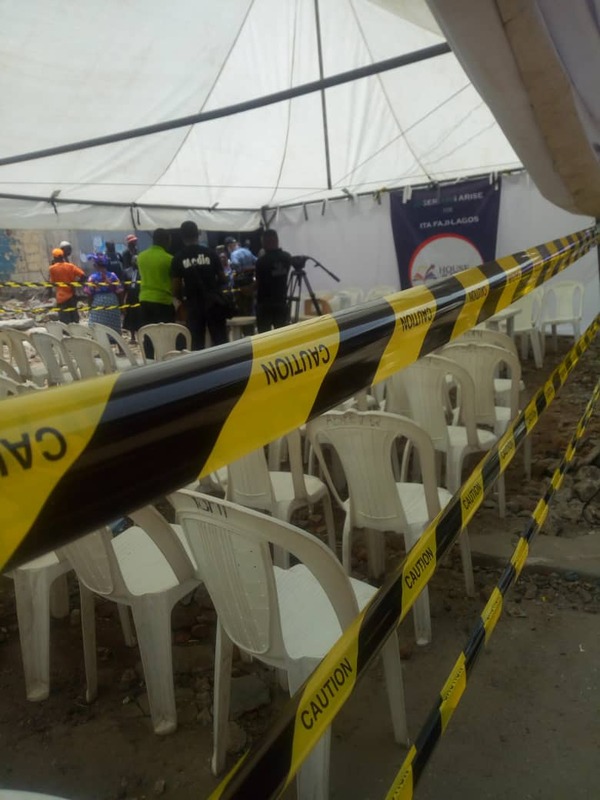 Even when they got married, they still experienced difficulties and attacks against their marriage which means that being happily married takes a lot of work from the concerned parties. 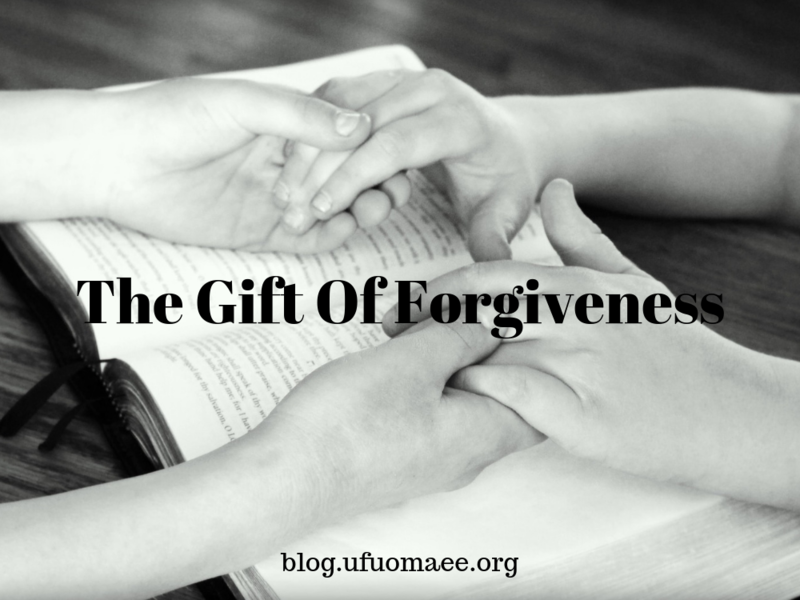 The power of confession and forgiveness was also showcased in this book. 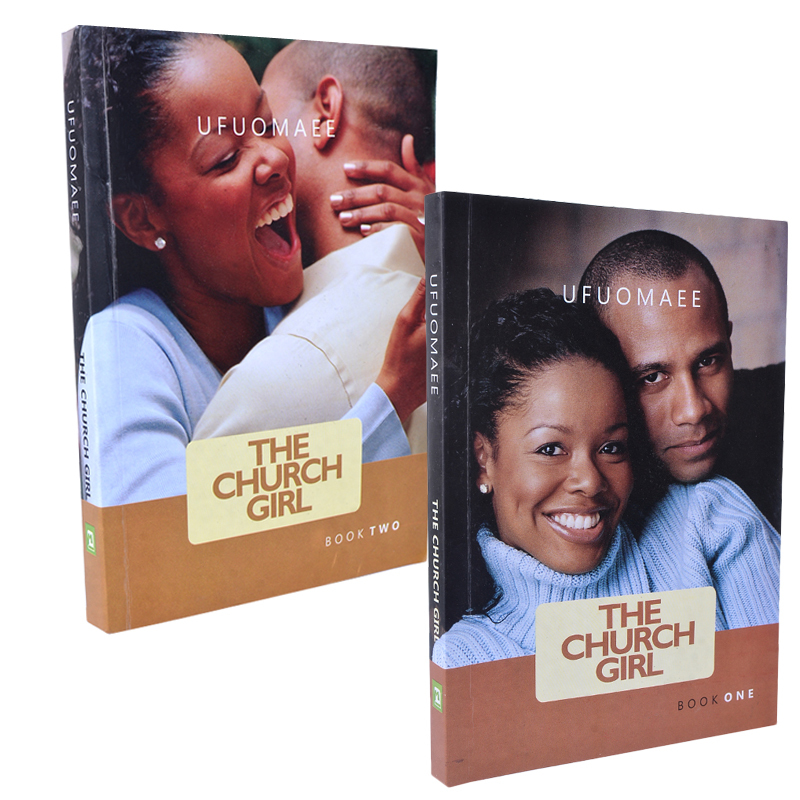 Ifeanyi would have lived with guilt for the rest of his life if he had not confessed. He might even have gone back to his old ways. His confession and Mary’s forgiveness strengthened their relationship. Also, Mary’s forgiving nature shown towards Ijeoma and Amaka is commendable. It shows us that when we obey the injunction to forgive, God will work out miracles from such situations as also shown by Ijeoma’s dad after Ifeanyi advised him to forgive. Ifeanyi’s continued and concerted efforts to ascertain his continued faithfulness to his wife is admirable. He was ready to go the extra mile to prove to Mary that he had changed. I like the way the author included dreams in the book to heighten readers’ suspense. I will definitely read this book again. I can’t wait to follow up with the story. I love books that tell a good story whilst also renewing one’s spirit. That’s what this book did for me. I particularly loved the middle part, where Mary and Ifeanyi had to rediscover their love and work on their marriage. Lots and lots of great life lessons in this one. Well done, Ufuoma. It’s an awesome book. This very book taught me how to wait on God’s time, how to trust in his will even if they contradict ours. I mean Ifeanyi proposed thrice, like who does that? It taught about God’s love for us all, it taught me about forgiveness and how it works with God’s purpose, it taught me about sexual purity in a new light, it taught me about love, trust and grace. Mary taught me a lot, her wisdom and commitment to God is adorable. I recommend this book to singles, married, pastors, and everyone. I also got to know we can fast anytime as the spirit leads, ifeanyi skipped dinner to fast even after having breakfast. I rededicate my life to Christ after the Book 1, did it again after Book 2. Trust me ma, you ain’t just teaching life lessons from these fictional books, you are winning souls to God. For that, I say God bless you ???? I can’t even count the number of times i’ve read this since i purchased it, my sister that doesn’t even like reading has read it twice.. Thank you Ufuomaee for the life lessons and the suspense cause I couldn’t even predict it even tho the title sounds predictabe. I’m getting a hardcopy soon to keep for my future husband and children???? God bless you manifold! This was a blessing. Thanks for the review ???? You already know what I have to say but I will say it all the same. This book was a blessing. I couldn’t help but see myself in Mary’s shoes through book one to two. It has taught me a lot of lessons and also deepened my convictions on a lot of things. I remember when I was going to place the order for the hard copy after reading it on the blog, I mentioned that this book was cheesy but I still feel I should get it in hard copy and trust me , I take my words back. This is no cheesy book. Apart from a friend who is also a blogger, I haven’t seen anyone blend their faith so well with their stories quite like the way you do. And like I said to you in that voice note, thank you for heeding to the voice of God to write this book. It has been a great blessing. Definitely getting another Ufuomaee book. Ps: My little sister is hooked as well. Thanks Theresa! So blessed by this! And no, it’s no cheesy book, lol!